EDM challenge 261 – draw something related to the Winter Olympics. 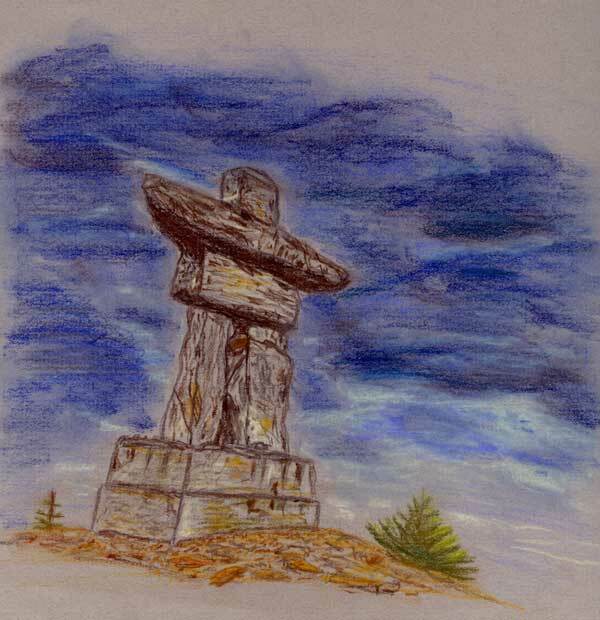 This a drawing of the Inuksuk that Ilanaaq the Inunnguaq, the logo for the Winter Olympics is based on. I didn’t know that, thank you! Wonderful sketch! I didn’t know anything about it either until I googled this years logo. I thought maybe it had a meaning like the Beijing logo did. Pretty nifty to read about, but it must be a tongue twister to say.